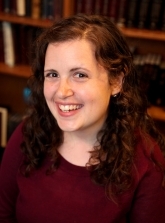 Dena Weiss is Rosh Beit Midrash and Director of Fellowship Programs at Hadar, where she teaches Talmud, Midrash and Hasidut. Dena earned a BA in Religious Studies from New York University and an MA in Theology from Harvard Divinity School. She has studied and taught in a variety of Jewish educational settings including Drisha, Midreshet Lindenbaum, and Pardes. She currently serves as the editor-in-chief of the Mima'amakim journal of Jewish religious art.